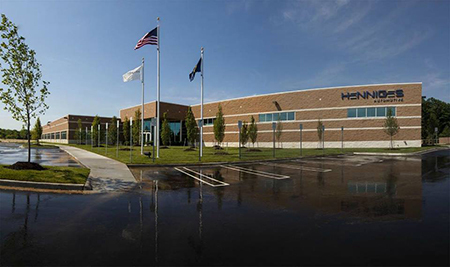 Auburn Hills-based Henniges Automotive, a global supplier of sealing and anti-vibration systems, will open a new technical and innovation center in the Czech Republic next year it says will strengthen its R&D in the region. Larry Williams, president of Henniges Automotive, says the 22,927-square-foot facility in Mladá Boleslav will be used to support all new projects in Europe through its advantageous location near the company’s other manufacturing plants and key European customers. The new facility will feature the latest development and testing facilities, capable of 3-D rapid prototyping and laser scanning, climatic testing, and simulation, to ensure the center is prepared to adapt to future customer and industry demands. With its base in the center of the Czech Republic, the Technical and Innovation Center will link its R&D capabilities and test programs with other nearby Henniges facilities to improve synergies in product design processes, validation and marketing. It also will allow Henniges to strengthen its customer relationships with European car manufacturers.